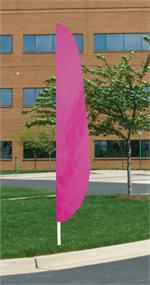 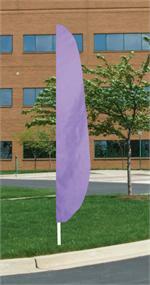 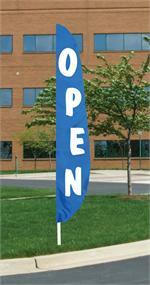 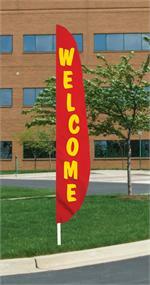 Our solid color feather flags will attract customers to your business or church. RED WELCOME FEATHER FLAG 12 FT NYLON ALL SEWN, LONGEST LASTING FEATHER FLAGS, YOU CAN ORDER A FLAGOPLE FROM US OR USE YOUR OWN POLE, POLE NOT INCLUDED. FEATHER AND FLUTTER FLAGPOLE TELESCOPING SUPER FLEX FIBERGLASS 15 FT WITH PVC GROUND TUBE TO INSERT UNDER GROUND. 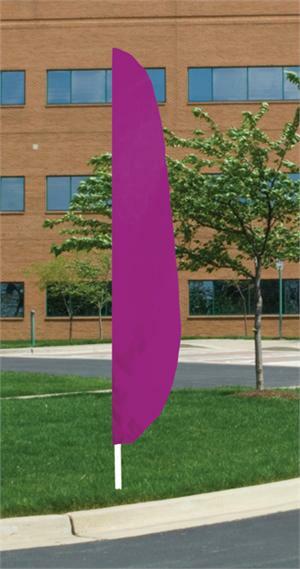 OUR SUPER POLES ARE THE LONGEST LASTING, VERY DURABLE, ALSO YOU CAN ADD OPTIONAL TEMPORARY GROUND SPIKE. CHECKERED FEATHER FLAG 26" X 12 FT NYLON , MADE IN THE USA, LONGEST LASTING FLAGS. 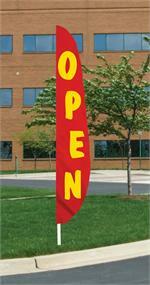 12 FT RED WHITE BLUE OPEN FEATHER FLAG 26" X 12 FT NYLON - RED ,. WHITE, BLUE POLE SOLD SEPARATELY. 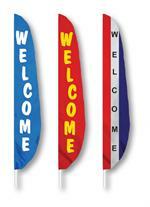 WELCOME RED WHITE BLUE FEATHER FLAG 12 FT X 26 IN. 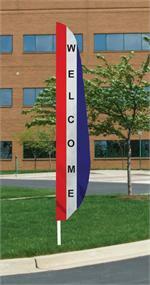 NYLON, ALL SEWN MADE IN THE USA, POLE SOLD SEPARATELY. LONGEST LASTING FEATHER FLAGS.